The Smart Podcast Player shortcode builder allows you to hide the social sharing button. For the full tutorial on setting up the full podcast player using the shortcode builder, go to this post. 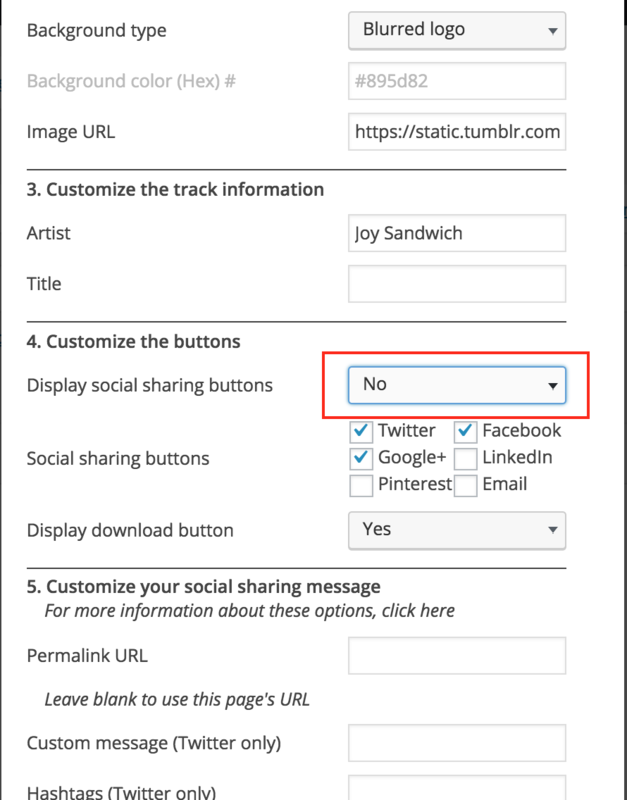 On the shortcode builder, set Display social sharing buttons to No.